By Jonathan Cook – Israel: For the first time in its history, an interrogator from Israel’s secret police agency, the Shin Bet, is to face a criminal investigation over allegations of torture. It will be the first probe of the Shin Bet since Israel’s supreme court issued a landmark ruling nearly two decades ago prohibiting, except in extraordinary circumstances, the use of what it termed “special methods” of interrogation. Before the ruling, physical abuse of Palestinians had been routine and resulted in several deaths in custody. According to human rights groups, however, the supreme court ban has had a limited impact. The Shin Bet, formally known as the Israel Security Agency, has simply been more careful about hiding its use of torture, they say. More than 1,000 complaints from Palestinians have been submitted to a government watchdog body over the past 18 years, but this is the first time one has led to a criminal investigation. Many Palestinians are jailed based on confessions either they or other Palestinians make during Shin Bet questioning. Israeli military courts almost never examine how such confessions were obtained or whether they are reliable, say lawyers, contributing to a 99.7 percent conviction rate. Last month, in freeing a Palestinian man who was jailed based on a false confession, an Israeli court accused the Shin Bet of using techniques that were “liable to induce innocent people to admit to acts that they did not commit”. But rights groups have told Al Jazeera the current investigation of the Shin Bet agent is unlikely to bring an end to the long-standing impunity of interrogators, or a change in its practices. Instead, they noted, an updated decision last month on torture from the Israeli supreme court, revising the 1999 landmark ruling, had moved the goalposts significantly in the Shin Bet’s favour. Hassan Jabareen, director of Adalah, a legal rights group representing Israel’s large Palestinian minority, said: “This case is the exception that proves the rule – one investigation after many hundreds of complaints have been ignored. 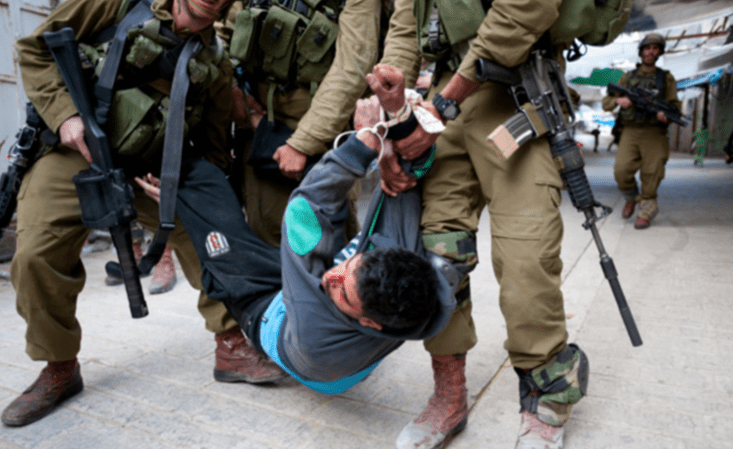 That view was shared by Rachel Stroumsa, head of the Public Committee Against Torture in Israel, which has submitted many of the 1,100 complaints of torture filed against the Shin Bet. She told Al Jazeera that Israel was “highly unusual” in making legal justifications for interrogation practices that clearly violated the United Nations Convention Against Torture, which Israel ratified in 1991. The convention forbids intentionally inflicting “severe pain or suffering, whether physical or mental” on those in detention to gain information. The 1999 ruling by the Israeli supreme court banned torture except in extremely rare cases of “necessity”, or what it termed “ticking bombs” – suspects from whom it was essential to gain information quickly. But Stroumsa said the large number of complaints from Palestinians submitted to Mivtan, a watchdog body in the justice ministry, indicated that the Shin Bet had never stopped using torture. The justice ministry has refused to divulge details of the criminal investigation, apart from saying it refers to “a field interrogation” in 2015. Field interrogations are usually conducted moments after a Palestinian has been seized by security forces. Speaking of the case at the weekend, Emi Palmor, director general of the justice ministry, said that this was “the first case that will be translated, presumably, into an indictment”. Stroumsa said the investigation was not in response to a complaint her committee had filed. Israeli media have speculated that the case may have progressed only because it was supported by testimony from another Israeli intelligence agent. Rights groups have been harshly critical of Mivtan over its consistent failure to investigate Palestinian complaints of torture. For most of its history, the unit was part of the Shin Bet and employed only one investigator. But following criticism in 2013 from a state inquiry, the Turkel Commission, Mivtan was transferred to the justice ministry. Last year it recruited a second investigator, who reportedly speaks Arabic. Before the 1999 ruling, the Shin Bet was regularly accused of violently shaking prisoners and beating them, including by banging their heads against a wall. According to testimonies, the Shin Bet still uses physical violence, though less routinely, including choking, forcing victims into stress positions that cause intense pain, and tightly cuffing their hands to prevent blood flow. But the Shin Bet is reported now to prioritise mental torture that does not leave tell-tale signs doctors could identify. These include threats of physical and sexual violence, including against family members, interrogation lasting for days, sleep deprivation, and prolonged exposure to loud music. Palestinians are often denied access to daylight, sometimes for weeks, so they become disoriented. “They are completely isolated – they feel buried. They don’t know when their interrogation will end or how it will end,” Anat Litvin, a researcher for Physicians for Human Rights – Israel told Al Jazeera. Even so, she said, doctors usually only recorded bumps and bruises without noting claims from Palestinians that their injuries were inflicted by their interrogators. Last year an unnamed senior interrogator confirmed that the agency uses torture to the Haaretz newspaper. He said agents were required to record details of how many blows they inflicted and what painful positions they used on detainees. Interrogators concentrated on sensitive regions such as the nose, ears and lips. In an indication of high-level support for torture in Israel, he said logs were sent afterwards to the attorney general, Israel’s chief law officer. A global survey by the International Red Cross in 2016 found more support for torture in Israel than any other country apart from Nigeria. Half of Israelis backed its use, with only a quarter opposed. Efforts to prove torture have also been hampered by an emergency order passed in 2002, in the wake of the supreme court ruling, that exempts Shin Bet interrogations from being recorded on video. In 2015 the cabinet justified the exemption on the grounds that video recording “could cause real damage to the quality of the interrogation and the ability to investigate security offenses”. Stroumsa noted that, aside from the moral problem, research has shown that torture is ineffective. A US Senate report, published in 2014, concludedthat it was “not an effective means of obtaining accurate information”. Nonetheless, the signs are that the Israeli courts are rolling back the restrictions on torture they put in place at the end of the 1990s. Last month the supreme court issued a ruling in the case of Assad Abu Ghosh, a Hamas activist who, the Israeli state admits, was subjected to “special methods” of interrogation in 2007. According to a petition to the court from the Public Committee, he was beaten and repeatedly slammed against a wall, and forced into the “banana position”, putting extreme pressure on his back. Abu Ghosh was left with neurological damage as a result. Human rights groups had hoped the court would close the ticking bomb “loophole”, which has allowed the Shin Bet to carry on torturing prisoners, or at least more tightly control the kinds of methods they use. Instead, said Jabareen, of Adalah, the ruling appeared to give greater licence to the Shin Bet to use torture. Stroumsa said she found the judges’ ruling in the Abu Ghosh case “astonishing”, given the injunction in international law against torture.